Local SEO is currently the most important thing you can do for your traffic and your business if you have a regional business. It seems that every 2 or 3 months we get slightly more relevant and more blended results. 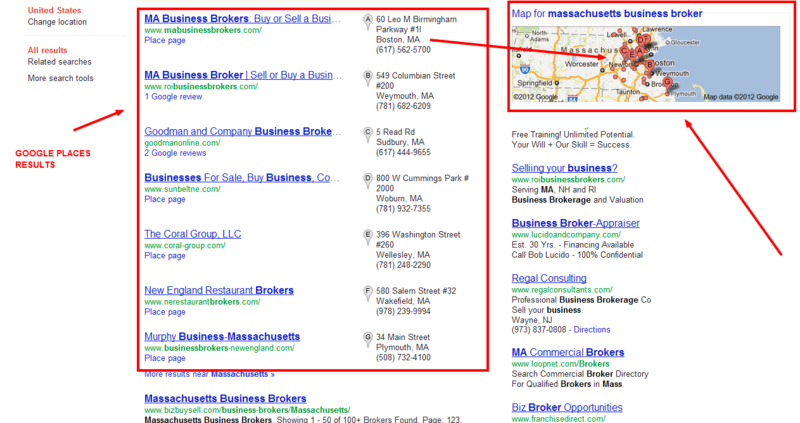 What this means is that the local results with Google Places pages are showing up more and more when you search. These results work differently than the standard results. Google has a couple different ways of displaying its search results data. For searches that are relevant on the local level, Google will display its search results with useful things like maps and directions, locations, phone numbers, and other locally relevant information. For other searches, Google will display the results with no location based information displayed. This strategy used to rank in the local results is different than the standard organic results. Everything from NAP (name + address + phone) cleanup to local citations from other directories are required to improve local rankings. As you can see from the above image, if you are not ranking well in Google Places, you are almost invisible for searches done with a regional modifier. Even if your website ranks on Page 1, it will be at the bottom of the page if you are not ranked in Google Places. Many companies and businesses compound the problem by trying to game the system with duplicate listings and other tricks. This can lead to a loss of trust and virtually disappearing from rankings. If you have a problem give us a call, We have helped hundreds of companies straighten their Google rankings and Places. To learn more, read our Blog post on Ranking for Google Places or give us a call today. We are here to help. 508-320-2625.